I’m a Londoner through and through and I genuinely love my city (overlooking London Transport, the weather and… London Transport. 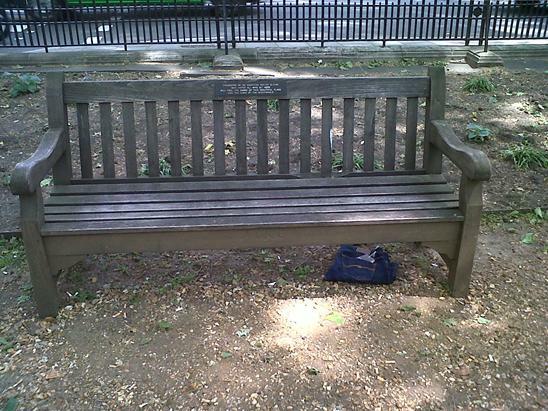 But sometimes, I take some of the amazing things London has to offer for granted. Covent Garden’s Seven Dials is one of those things. Home to everything from independent fashion boutiques to trusted faithfuls like Urban Outfitters and MAC, eateries including my favourite Hawksmoor (hello yummy steak) and also to The Cambridge Theatre currently showing the Olivier award winning musical Matilda (which I’m going to see next week). There is such a charm about the area, you can spend hours getting lost amongst all it has to offer. 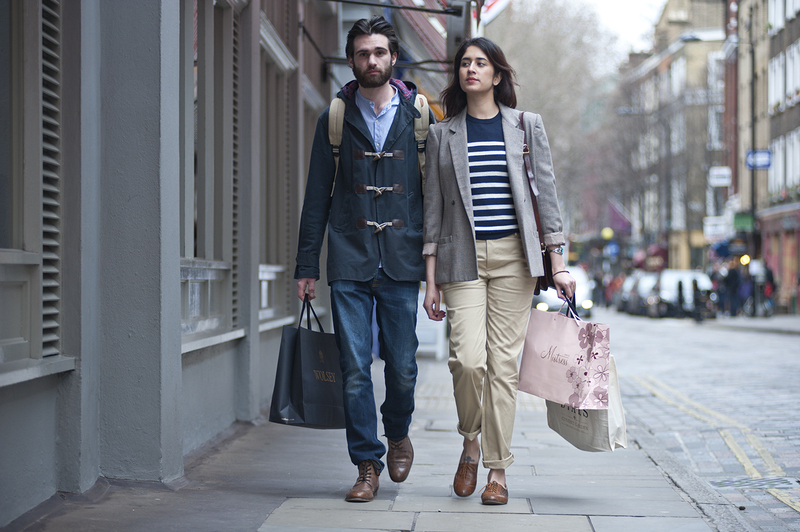 If you fancy taking a trip to Seven Dials, you should consider checking it out on Thursday 26th April when over 120 stores in Seven Dials and neighbouring St Martin’s Courtyard, including beauty and grooming salons, cafes, restaurants and bars will be offering an exclusive 20% off their collections, services and menus. You will need a ‘Seven Dials and St Martin’s Courtyard Shopping Voucher’ which can be downloaded in advance of the event at Sevendials.co.uk along with a list of participating stores and venues. I’ll be taking a trip down there and cashing in on this post pay day treat! What to wear to the front row? So as you may have seen from my over-excited tweets, I am one of five finalists of LOOK magazine‘s blogging competition. The prize? Front row seats at The Look Show amongst many other treats. It’s pretty exciting but the first thing that sprang to mind after I’d digested the news: what do I wear? I hope to be channeling Camilla Belle’s head to toe Gucci look from their S/S 11 collection that she wore to the Gucci x Roc-Nation Pre-Grammys brunch this weekend. Check out the blogs of the other finalists: Amelia’s Fashion Land, I Heart Vintage and Maffionista. I’ll definitely be in good company at the show. The people at Hermès have been busy recently. Going down the ever faithful but over-used pop-up store route, Hermes have opened up not one but two pop-up stores in London situated at the Rochelle School of Art in Shoreditch and the other on Ledbury road in West London. 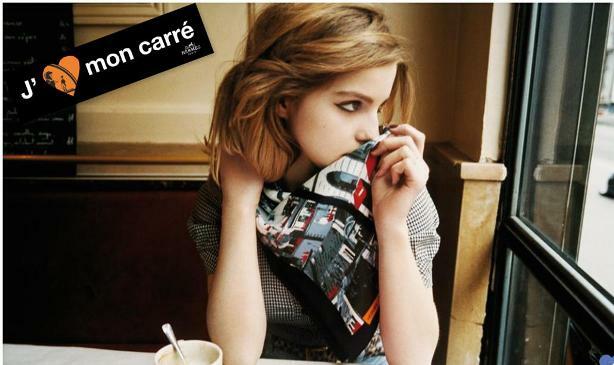 The reason -an attempt to bring the J’aime mon carré campaign (I love my scarf for those of you who’ve forgotten GCSE French) to life. However, this is much more cool. I’m not sure why it has gone virtually unnoticed, but check out the Hermès finger skateboard. Showcasing Hermès’ collection in an innovative and engaging way. More of this please! First preview of Lanvin x H&M. Let’s hope it looks as good as it does in print. This excites me. I have no doubt it will be great. No watered down versions of the dream, just pure unadulterated Lanvin. Bring. It. On. 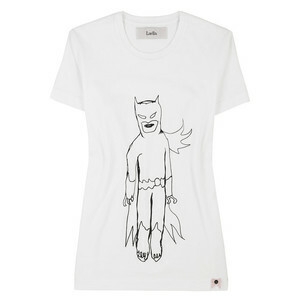 I often have nightmares about this Luella t-shirt and recall how just as I go to enter in my card details on net-a-porter.com, it sells out. Then I wake up and realise that this nightmare is a dark and depressing reality. Now thanks to Colette and DC Comics, I may be able to own something even better. DC Comics, think Batman, Superman, etc is celebrating their 75th anniversary and Colette is serving up a serious birthday pressie. Colette has commissioned a range of superhero-themed designer accessories and clothing items for its latest window, due to be unveiled tomorrow. The line features these Catwoman thigh-highs by Roger Vivier, Green Lantern gloves designed by Karl Lagerfeld and a Dog Batman T-shirt by Lanvin men’s wear designer Lucas Ossendrijver. I think these boots might stop the nightmares. …You can be the proud owner of the brand new pair of Nudie jeans hiding underneath courtesy of my-wardrobe.com and their Denim Dash. This London-wide treasure hunt is to mark the opening of their online Denim Bar. The new my-wardrobe.com Denim Bar aims to show shoppers how they can make each jean style work for them. With collections from eight denim brands; J Brand, CURRENT/ELLIOT, 7 For All Mankind, Nudie, Paige, and Nobody and new designers for Autumn Winter 10 such as the new Vivienne Westwood/Lee Jeans collaboration, the Denim Bar sets out to simplify and translate the styles of the season. 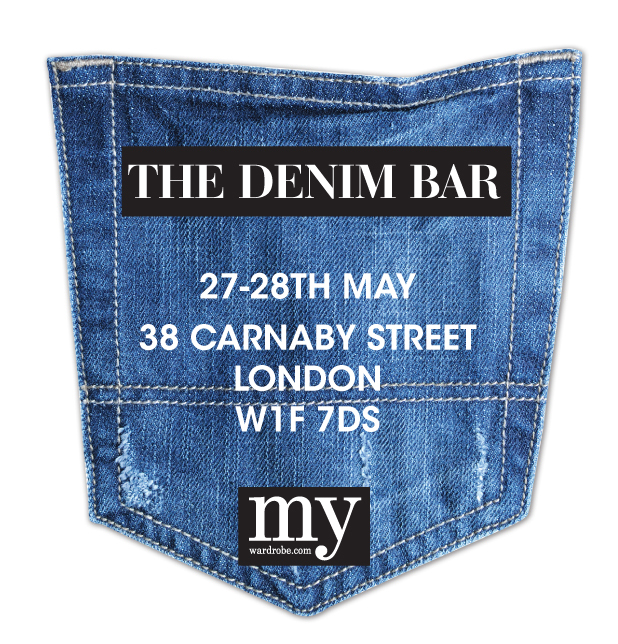 To celebrate the launch my-wardrobe.com are desecending on Carnaby Street with London’s debut pop-up bar made entirely of denim on the 27th – 28th May. Designed by Mark Lawson-Bell, the creative mind behind Conduit Street’s Sketch’s interior design concept, the pop-up bar invites shoppers to enjoy a Tanqueray No.10 my-martini in style, whilst browsing denim collections from the site. Follow @mywardrobe on Twitter or check out their Facebook page for clues on where the jeans are hiding – there are five pairs to be found and they are popping up everywhere! Not only will you win the jeans, you’ll also get tickets to the exclusive Denim Bar launch party! Brands want to tap into the influence of fashion and style bloggers. Many meetings are being had right now on how they can do this. The American handbag and accessories designer, Coach, has beat most to it. They’ve gathered four of the most well known and popular style bloggers from New York and collaborated with them to create a fun editorial, My NY. 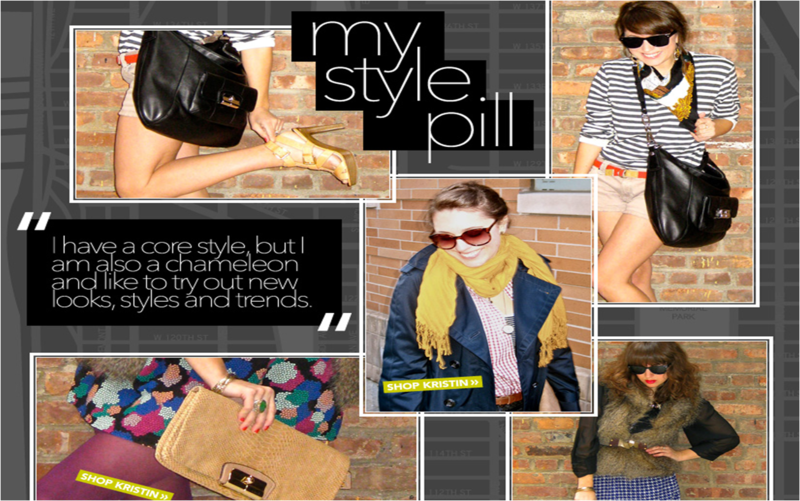 The bloggers from My Style Pill, What I Wore, Where Did You Get That and The Owls are Not What They Seem represent their different styles and New Yorks through their different choices of Coach handbags. Coach are taking it one step further by collaborating with four bloggers -Simpson of What Is Reality Anyway, Kelly Framel of The Glamourai, Karla Deras of Karla’s Closet, and Emily Schuman of Cupcakes and Cashmere to design limited-edition bags. The styles will be available for pre-order online from May 19 (prices range from $398 to $498). 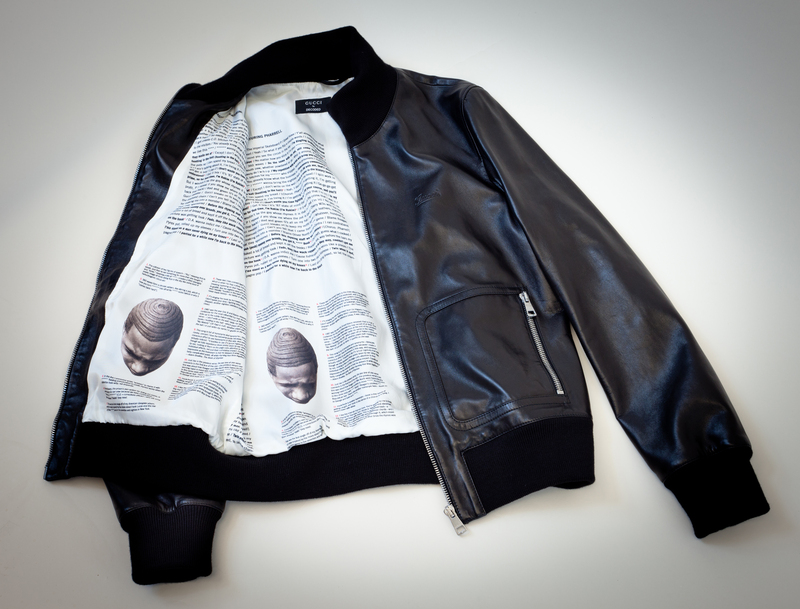 It is a pretty cool collaboration but one that I suspect will be both admired and hated by fashion folk. Personally I wouldn’t be running out to be any of the bags but just in the same way that I don’t run out and buy anything that has been celebrity endorsed unless I really love it. Will we be seeing more of these brand and fashion blogger collaborations in the future? And if so, who is the target market? I guess it has to be the readers of these fashion blogs… thing is I wouldn’t be spending that much money on a bag designed by a blogger – sorry!